Richelieu Eclectic Metal Pull - Burnished Brass - 96 mm C. to C.
Eclectic metal pull with leaf detail at each end of its sinuous handle. This product will add a touch of sophisticated luxury to your dicor. Richelieu Eclectic Metal and Ceramic Pull - Burnished Brass and Pear - 76 mm C. To C.
Classic metal and ceramic handle by Richelieu with fruit motif. Two spoon-shaped posts support the brushed nickel bar which features a ceramic handle. Richelieu Traditional Metal and Ceramic Pull - Burnished Brass and White - 96 mm C. To C.
This classic Richelieu handle features an attractive ceramic center with elongated ends. Sure to add a dash of style to any room in your home! 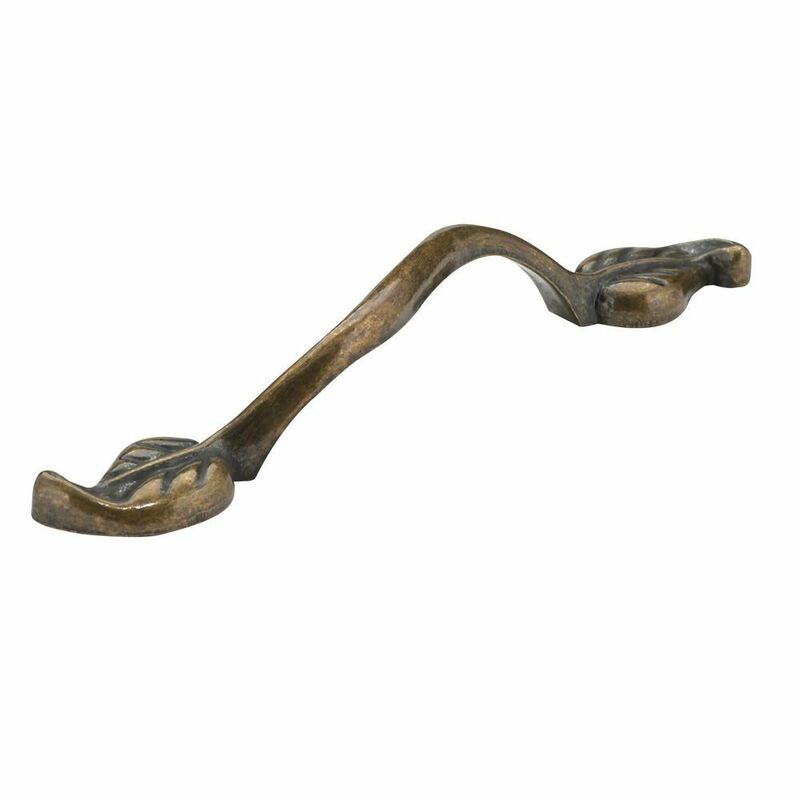 Eclectic Metal Pull - Burnished Brass - 96 mm C. to C. Eclectic metal pull with leaf detail at each end of its sinuous handle. This product will add a touch of sophisticated luxury to your dicor. Eclectic Metal Pull - Burnished Brass - 96 mm C. to C. is rated 5.0 out of 5 by 1.